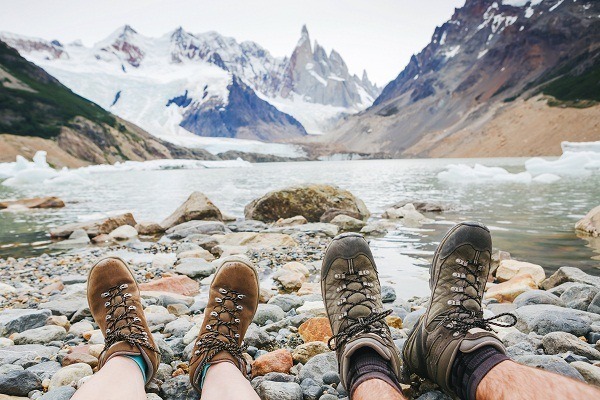 Many people use hiking and trekking as words with the same meaning. 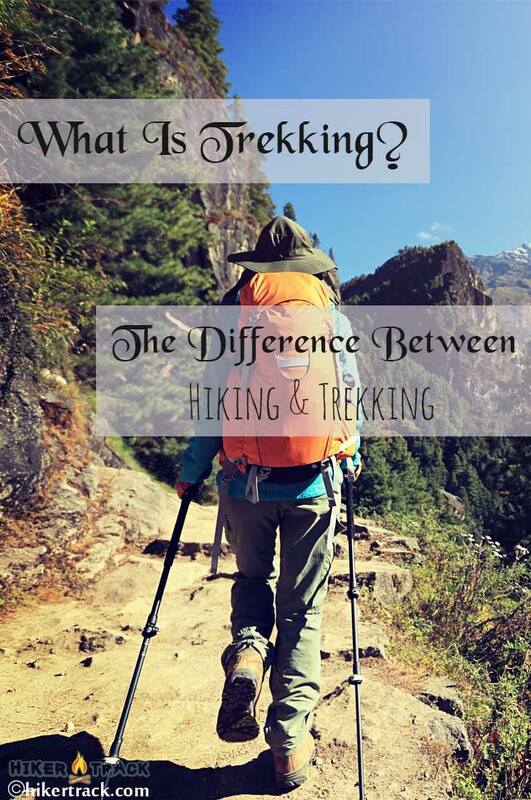 They get confused with what is trekking and refer to it as hiking, or vice versa. There is mixing and matching with these two words. And yes, they initially both mean going outside and taking a walk in nature. But they’re also very different. Hiking takes place in beautiful scenic surroundings, usually with a “hiking trail”. It mostly takes no longer than a day and it isn’t really physically challenging. Call it a pleasure walk, if you like. Whereas, trekking can be done in any surroundings. People can trek on paved roads and dense wilderness alike. A trek can last anything from days to months, and it is definitely a challenge. It’s very important to know the difference between the two so that you can choose the activity that’s right for you. So to find out what is the difference between hiking and trekking in more detail, we’ll have to dig a little deeper. What is hiking good for? Who is hiking good for? What is trekking good for? Who is trekking good for? According to TheFreeDictionary, by definition hiking means “to go on an extended walk for pleasure or exercise, especially in a natural setting”. A hike is usually a day trip that takes from two to eight hours. It doesn’t require lots of prior planning and organizing, as most hikes can be done with only the essentials in your daypack. So long as you pack some snacks, plenty of water and a mosquito repellent, you are good to go for a short one! Although, having a First Aid kit never hurt anybody either. You can go hiking in almost any beautiful natural environment. Forests, hills, mountains and the like are absolutely perfect. Hiking means “to go on an extended walk for pleasure or exercise, especially in a natural setting”. In fact, most of these places also contain hiking trails that make the experience even more pleasurable, as well as easy as a breeze! There’s no other way but to enjoy your hike as you follow a trail that takes you through the most scenic local routes. Hiking is excellent for pleasure, light exercise and even improvement of mental health. 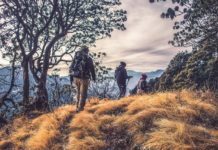 As this Standford University article explains, hiking is an excellent way to clear your mind whilst being surrounded by nature. Hearing the birds sing and feeling the cool breeze on your face makes everything else go away for a while. Of course, shedding a few pounds here and there is also a big plus. No one ever said that exercising has to be unpleasant. If hiking becomes a regular activity in your life, you will definitely start seeing improvements in both your physical and mental health too. You don’t need high levels of fitness to enjoy a refreshing hike, only a few hours dedicated to yourself and/or your family. That is, only a few hours in exchange for a clearer mind and a healthy body. Well, trekking is actually really different from hiking. As reported by the Dictionary.com, trekking is a verb for “to travel or migrate, especially slowly or with difficulty”. Although rather vague, this definition is pretty accurate. You’ll often have to use your orientation skills with a compass and a map to find your way to your destination, which can be tens, or even hundreds, of kilometers away. 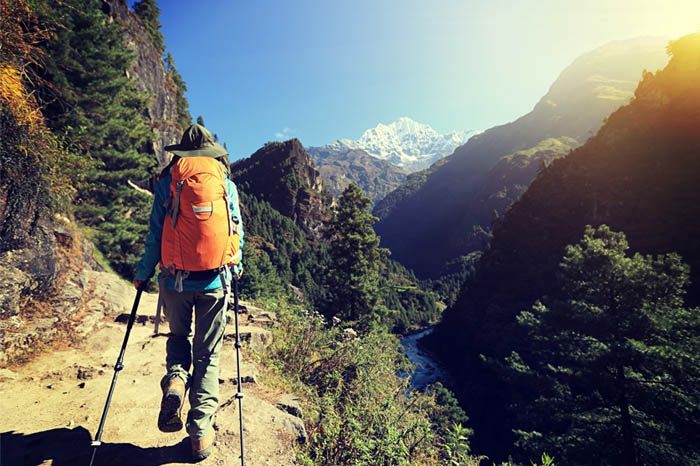 Trekking is a verb for “to travel or migrate, especially slowly or with difficulty”. This way a vast amount of stress and strain gets lifted off the trekkers’ shoulders and the journey itself becomes more enjoyable. However, it is still much harder than a hike. Aside from the intensity of it, trekking is an excellent way to explore unmarked terrain and get as close as possible to nature. 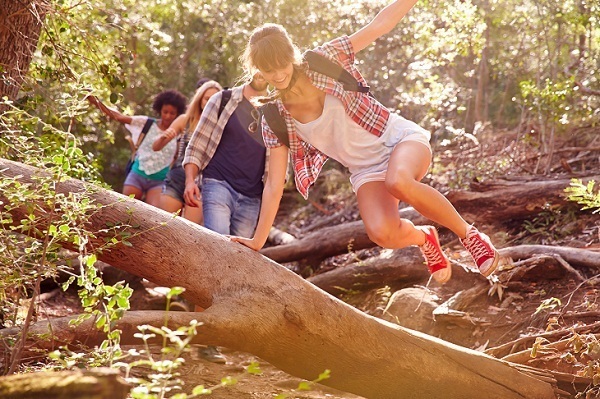 Trekking is a pretty high-intensity activity, therefore it is definitely not for beginners. To be able to conquer a long-distance trek, you must not only be physically and mentally strong, but also have a certain set of skills and proper gear. 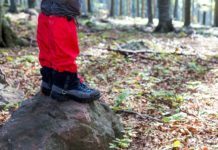 Without orientation and survival skills, as well as the necessary essential camping gear, the right clothing and the correct medical kit, attempting a long-distance trek would be downright dangerous. Now that you know what the difference between hiking and trekking is, you can make the right choice when deciding which one you want to try. If you want to spend a Saturday morning surrounded by the sounds of nature, recharge your batteries and clear your mind, then a hike is a perfect choice. You can go hiking alone, with friends or family. It’s the kind of activity that is suitable to all and beneficial to everyone. 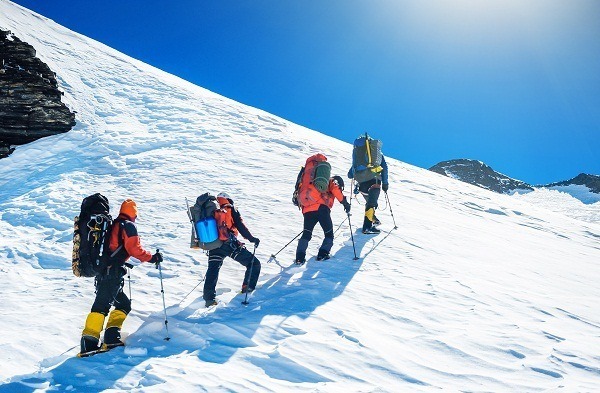 However, if you are looking for a challenge, if you want to test your physical and mental strengths as well as reach your limits, then trekking is the answer. Even a short trek, lasting only a couple of days and just over 50 kilometers, is a tough task to complete. And if you go on a trek that lasts for a few weeks or even a couple months, you can be sure it would most likely become an accomplishment of your lifetime. Whichever you decide to choose, prepare yourself for the unexpected. And make sure that you know the answer to what is trekking and what is hiking, and what the difference between the two is. Hiking is my favorite sport and Trekking is which I really wanna try one time in my life. Thanks for sharing information about them. Trekking requires more effort and stamina than hiking, but it worths trying once in a lifetime. Hope you have a safe trip. Best wishes! I’ve hiking since I was a kid and love it. Never really thought about trekking till learning about it recently and now its something I definitely wanna give a shot. 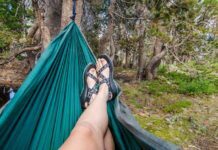 I love hiking and your post is very informational for newbies and i really enjoy reading your post. It’s really hesitation to understand hiking and trekking. Which I had before. Your information is great. Now I am feeling to try new experience and refreshment.